Bhubaneswar: Odisha Chief Minister Naveen Patnaik on Wednesday requested the Centre to declare Paika Rebellion as the 1st war of Independence in Indian history. I request the Government of India to consider this proposal positively so that the people of India appreciate, in correct perspective, the events that led to the Indian freedom struggle and our historic Independence from the foreign rule, said Patnaik in a letter to Union Home Minister Rajnath Singh. 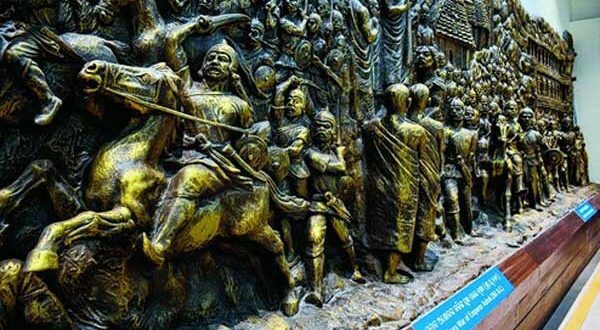 Notably, the state cabinet on Tuesday approved a proposal to recommend the Centre to declare ‘Paika Rebellion’ as the 1st war of Independence in Indian history. In the letter, Patnaik said it would be the befitting tribute to commemorate the 200th anniversary of the Paika rebellion. The Paika Rebellion (1817 AD) of Odisha, which took place 40 years before the “Sepoy Mutiny” (1857 AD) eminently qualifies to be called as the “First War of Indian Independence” not simply because it took place four decades prior to the Sepoy Mutiny but due to its very nature and characteristic features – said the Chief Minister. He said Paika Rebellion, popularly known as Paika Bidroha, was a broad based and well-organised plural struggle against the oppressive rule of the British East India Company. It involved all sections of the people. It cannot be a mere coincidence that Paika Rebellion measured by its form as well as content provides a marvelous analogy with the subsequent freedom movement and its outcome, he added.